The walk out basement will keep the kids entertained with awesome kids play space (check out the ladder and slide! ), full wet bar, wine storage, polished concrete floors with in-slab heat and a 6th bedroom. There is no shortage of extra sleeping space as the home also boasts 2 Murphy beds for your guests, and the custom built-ins throughout the home will ensure everything has a space. The separate suite over the garage offers so many options – nanny, in-law, rent it or easily convert it back to the main living area by simply opening a roughed in doorway. The 1900 sq ft suite is complete with full kitchen, high-end appliances, living space complete with 2 bedrooms and a full bath. Outside you will find a rear yard with fenced area and artificial turf, children's play area & so much more. Use your imagination for the remaining acres - horses perhaps? Bring your toys and store them in the oversized 4+ car garage with in-slab heat. Watch the video for more, and Welcome Home! 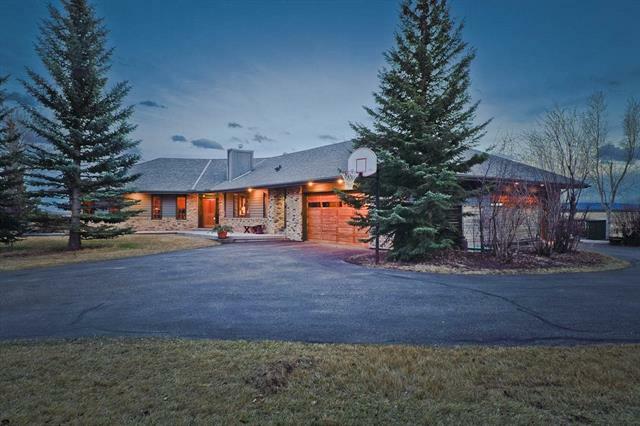 Home for sale at 31196 Township Road 251a Rural Rocky View County, Alberts T3Z 1E6. 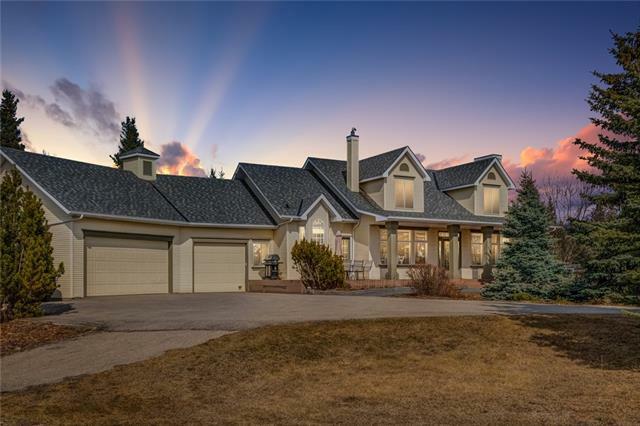 Description: The home at 31196 Township Road 251a Rural Rocky View County, Alberta T3Z 1E6 with the MLS® Number C4223820 is currently listed at $1,795,000.